HP Inc. inspires print providers to reinvent their possibilities at 2016 exhibition. HP Indigo customer using PrintOS Site FlowHP Inc. has announced that it will exhibit what it terms as the industry's broadest portfolio of digital printing solutions at drupa 2016. 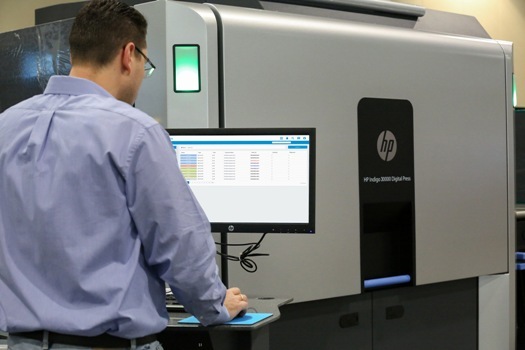 It said that these will include new advancements that demonstrate how HP digital print technology enables print service providers (PSPs) to reinvent their possibilities. The company has also unveiled HP PrintOS, a cloud-based operating system, billed as a tool that reinvents how customers manage print production. The new platform will make its worldwide debut at drupa 2016. HP added that for the first time in drupa history, the HP Graphics Solutions Business is hosting the tradeshow's largest exhibit in hall 17 and the world's biggest digital printing showcase for the eleven day event. In keeping with the evolving landscape of drupa, HP will display its latest technology for the general commercial printing segment, as well as new hardware and solutions for labels and packaging, large-format and sign and display application areas. "HP is bringing the full power of our vast portfolio of digital printing solutions to drupa 2016, featuring breakthrough innovations," said Rob Le Bras-Brown, global head of print marketing, HP Inc. "With today's introduction of HP PrintOS and more ground-breaking pre-drupa announcements to come, HP is following through on our promise to ‘keep reinventing' with advancements across application segments that truly enable our customers to reinvent their possibilities." An open, secure and integrated platform for print production management, PrintOS is a cloud-based operating system which has been designed for PSPs of all segments and sizes for use with HP Indigo, PageWide Web Press, Scitex and Latex digital printing technology. HP PageWide Web Press customer using HP PrintOS Site FlowFeaturing a suite of intuitive web-based and mobile applications, PrintOS function is to help simplify and automate print production, enabling customers to start printing jobs, faster. Additionally, cloud connectivity allows customers to monitor print status remotely as well as track and improve production performance over time. "We run a multi-shift, multi-press operation at ProCo, yet we have not previously had a window into the production performance of our digital operation," said Graeme Parry, production director, ProCo. "PrintOS offers anytime, anywhere access, enabling more visibility than ever into our business. Not only are we using PrintOS to drive better print performance, but it's also helping raise the bar of our staff, empowering operators with the right tools to better oversee production. It's fantastic." Box, a tool simplifying job onboarding through non-automated channels like email and file transfer services. As is often the case, a disproportionate amount of time and effort are invested in handling jobs prior to production. By standardizing processes, Box reduces upfront overhead, increasing capacity and improving profitability. Site Flow, which combines automated order submission, pre-press and shop floor management capabilities to address the needs of PSPs serving the business-to-business and business-to-business-to-consumer markets. The application allows PSPs to offer attractive costs and higher levels of service to fulfill hundreds, thousands or tens of thousands of individual, personalized print orders every day, including direct shipment to end customers. 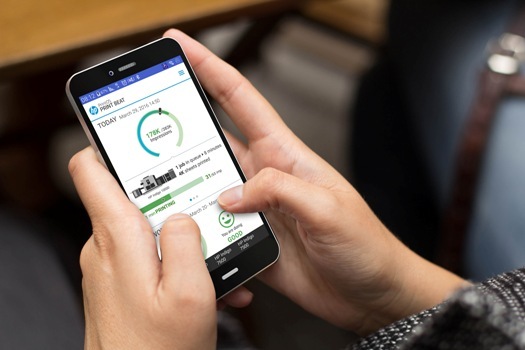 HP PrintOS mobile application AndroidHP Indigo and PageWide Web Press customers can begin using PrintOS on May 31, 2016. Many apps will be available without charge to existing customers with a service contract, while certain apps will be subject to monthly subscription and usage charges. 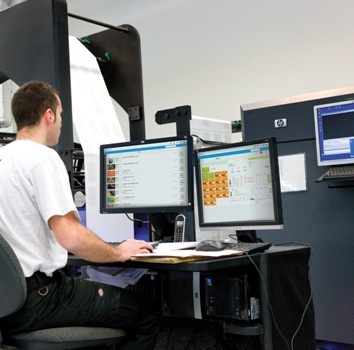 HP Financial Services, IT investment solutions and financing provider for HP Inc., can help customers gain easier and faster access to innovative digital printing technology. Customers have the flexibility to choose how they acquire and pay for an HP PrintOS solution, with IT investment options that can be customized across HP Inc.'s product portfolio, based on business needs. Visit the HP drupa 2016 online press kit for more information on today's announcements and to follow HP's drupa news. More information on PrintOS can also be found at www.hp.com/go/PrintOS. Additionally, new product updates and videos can also be found on Facebook at www.facebook.com/HPdesigners, on Twitter at www.twitter.com/hpgraphicarts and on YouTube at www.youtube.com/hpgraphicarts.